Bioroid Creakbox - The best freeware TB303 vsti you can get I'd say! - superb! Bioroid released the V.1 VSTI of Creakbox and I was eager to check it out, as the old standalone demo released a while ago sounded great... If they could bring that sound & accurate functionality as a Plugin then it had to be good! Downloaded it and set it up today and yup!... 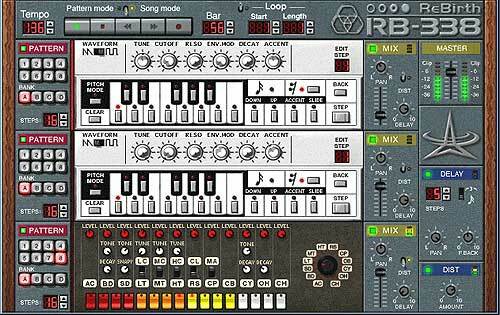 This has to be THE BEST FREEWARE TB303 plugin you can get! 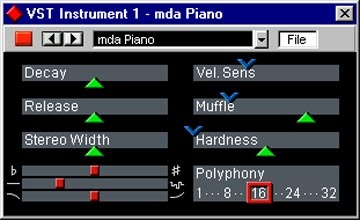 There's no ability to sequence Creakbox from your piano roll with this plugin... To maintain authentic TB303 accuracy requires special attention to the accent & slide functions, because part of the whole TB303 experience & sound is the sequencer itself which is so hard to impersonate using midi portamento & velocity functions within the host sequencer, so Bioroid have gone for a very sensible approach, allowing Creakbox to reside within the host sequencer where it can run in-sync within the host and use it's own on-board sequencer. The upside of this 'in-house' sequencer method is that Creakbox sound as close as I've heard to a real TB303... the downside is you'll have to manually re-create your synth patterns if you choose to employ Creakbox in 'already-created' songs you've written prior to remixing & saving.... But really, when you hear this thing it's WELL worth the extra time to get those patterns down! Well what more do you want!... 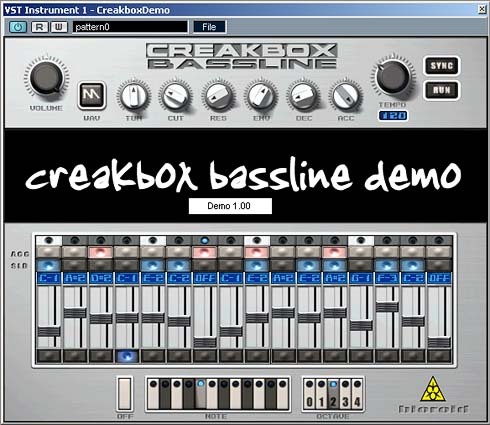 This Creakbox is the dogs nuts frankly, and apart from the lack of 'Last-step' function is damn close to a TB303 sound... and it's FREE dammit! Creakbox is the bomb. I never owned a TB303 but have heard them used in all kinds of tracks. I just want to post a short message because I simply love this thing. The sound is spot on at least to my ears and is it ever fun to play with. It's just like deja vu all over again, but in a good way. Close, but no cigar. Waaay too much accent on this machine, and the saw sound doesn't really cut it to my ears. yup that's very authentic - they all sound a little different tho, but I think for adding a touch of 303 creakbox gets close enuff for adding some '303' stuff, unless you are a purist wanting to make retro music in which case ABL would really score. and creakbox is free at the moment, no dount ABL will be around the 100 quid mark. ABL Bassline was released today! Bought mine already - 90 euros / 70 quid. er.. from Bioroid's website via the link on the page. tryed many ways but still couldnt. could you give me some advice? thanks!